I'm pretty new to this, so i don't know if i'm doing it right, but i tryed my best, red the FAQ, tryed every exports possible, and everytime, my character is completely modified when i export it to blender, i did it with the MHX2 format and every others possible, but it's still the closer from the actual look, the other ones are full of polys and stuffs. 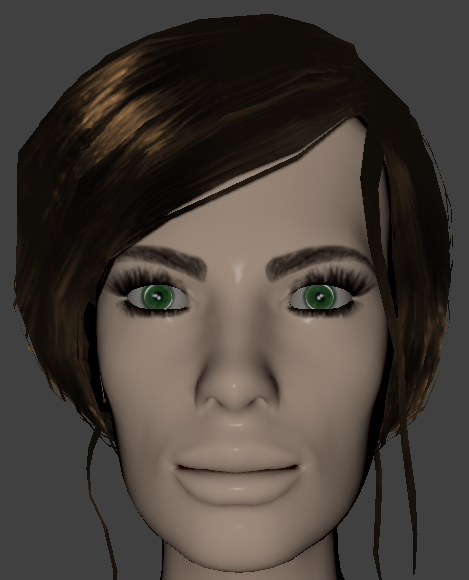 it seems like the entire face's structure is different, like if it was compressed or something like that, skin doesn't seems to appear, mouth is different, i don't know what i did wrong. Which options did you use when you imported the MHX2? [*]It looks like you used the default skin material and or lost the texture material. Make sure to add a skin material in mh and don't lose the texture folder when you move it to blender. 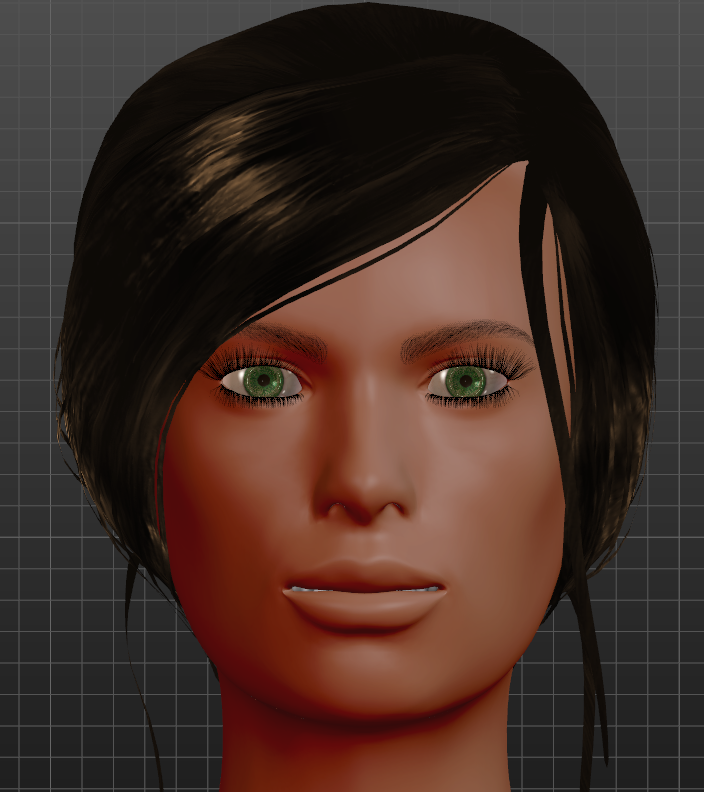 Skin textures on them material lab should help if you didn't use them, but there can be additional things you need to do with transparency but lets see if this is even the start of it. MakeHuman uses lights sphere lighting for default viewing. You could try viewing things in the material editor with the phong shader to get better idea of what the settings would look like after moving into Blender, especially if you are using the old Blender Internal. [*]Blender has two modes for the camera, perspective and orthogonal. MakeHuman always uses orthogonal. In Blender try hitting 5 on the numeric key pad to make sure you are in orthogonal view, not perspective with some extreme camera lens.